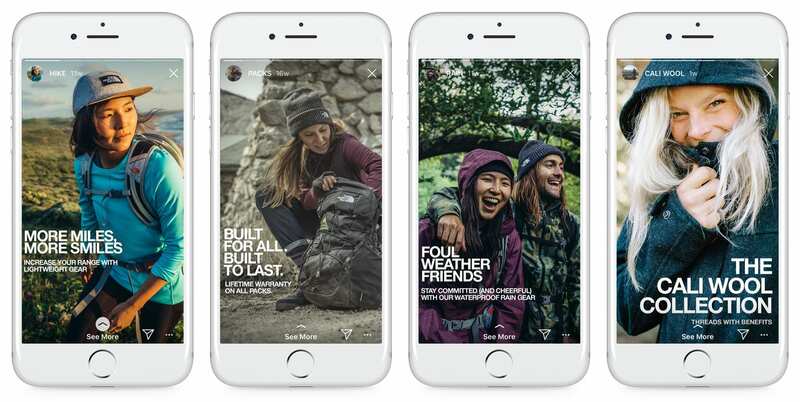 Stories are considered by many to be the future of social sharing, and as such, all digital marketers need to be considering how they too can adapt the form and use it to deliver their brand messaging. And if you’re thinking of adding Stories into your social media mix in 2019, then this report is essential reading – the teams from Buffer and Delmondo have teamed up to put together the biggest report on Instagram Stories performance to date, analyzing some 15,000 Stories from the world’s top 200 brands in order to provide insights into key best practices and performance benchmarks. The full report, which you can read here, is definitely worth checking out, but here are some of the key highlights. According to the data, you should be aiming to keep your Instagram Stories short, with the researchers noting that completion rates drop below 70% after seven frames. It is worth noting, however, that performance remains fairly steady after that, so it’s not a definitive limit you should be working towards. You also need to factor in the content itself – many brands are still experimenting with Stories, so you might expect that there are not a lot of highly compelling, 20-frame Stories out there at this stage. It’s worth experimenting with length and testing to see what your audience responds best to – but shorter, based on the data, is better. This is an interesting, though somewhat logical finding. The data shows that completion rates of Instagram Stories peak between 4am and 6am, 8am and 10am, 12pm and 2pm and 8pm and 10pm. As noted in Buffer’s summary, this likely aligns with when people have time to actually watch Stories to completion – they’re more involving than a regular Facebook post or a tweet, so they require a bit more dedicated time to go through them. This is important to note in your approach – it is also interesting to note that this is completion rates, not engagement, but because viewers can’t know how long a Story is before tapping through, the two stats are likely aligned. Another key finding included within the report’s notes is that you don’t have to create professional, polished Stories to win out with the format. In fact, you may be better off not going pro with your creation. That makes sense – people are looking for quick, effective frames, not in-depth content, so it’s worth considering how you can provide simple, effective images to draw viewers in. Buffer provides this example from The North Face, using text overlays to maximize their Story frames. These are just a couple of the many data points included in the full report, which as noted, is well worth a read. If you’re looking to expand your content efforts into Stories next year, you need to have an understanding of the landscape, and these insights will definitely help improve your experimentation and performance. You can read the full Buffer/Delmondo Instagram Stories report here – Delmondo also recently provided some great examples of creative Stories approaches in this post.